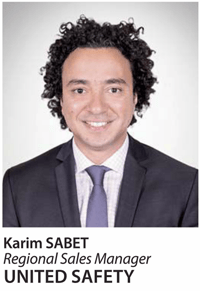 United Safety and Karim Sabet, United Safety’s Regional Sales Manager for the Middle East, are featured in The Oil & Gas Year (TOGY), Abu Dhabi 2015. Mr. Sabet talks about the impact that technology has had on the industry and the way that safety considerations factor into sour gas developments. He mentions that operators in the region are taking steps towards making safety an integral part of their business and also talks about how specialized equipment is vital in sour gas production.He then goes on to discuss the importance of innovation in safety services in order to satisfy market demands and concludes on how digital oilfield systems impacted safety technology.